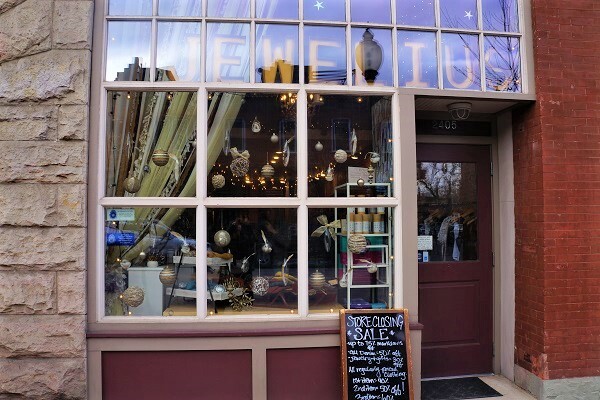 Jewelius, a women’s apparel boutique in LoHi, will close Jan. 29. The clothing store said on Facebook last week that it is liquidating its inventory. Rachel Lubow founded Jewelius as a pop-up store in Denver’s RiNo neighborhood in 2012. She said she moved the store to the 800-square-foot storefront at 2405 W. 32nd Ave in November of that year, where it’s operated ever since. The store sells “clothing, jewelry, and accessories at an affordable price point,” according to its website. Lubow said she believes her landlord declined to renew her lease in order to sell the property. Property records show that the unit Jewelius occupies — which is on the ground floor of a three-story building — is owned by Julie Harris Properties LLC, which purchased the unit in 2009 for $258,000. Julie Harris Chatham is the agent associated with the LLC. Chatham confirmed Tuesday that she and her husband were considering selling the unit. Lubow said Jewelius had one employee besides herself and her mom. Lubow said she hopes to do some pop-ups in the near future and will update past customers on Instagram.